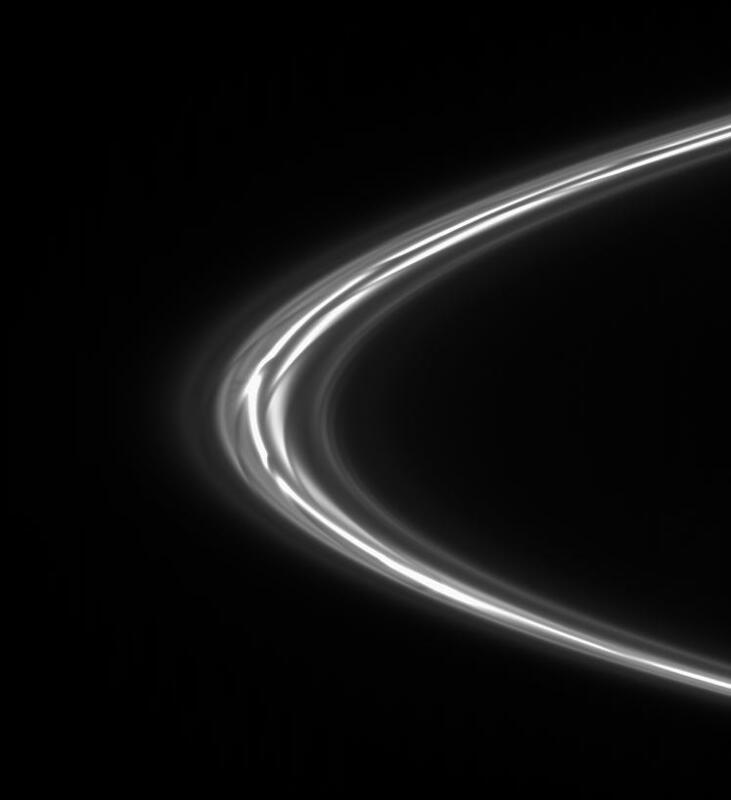 Seen here is the end result of the process that occurs every time the moon Prometheus closely approaches Saturn's F ring. 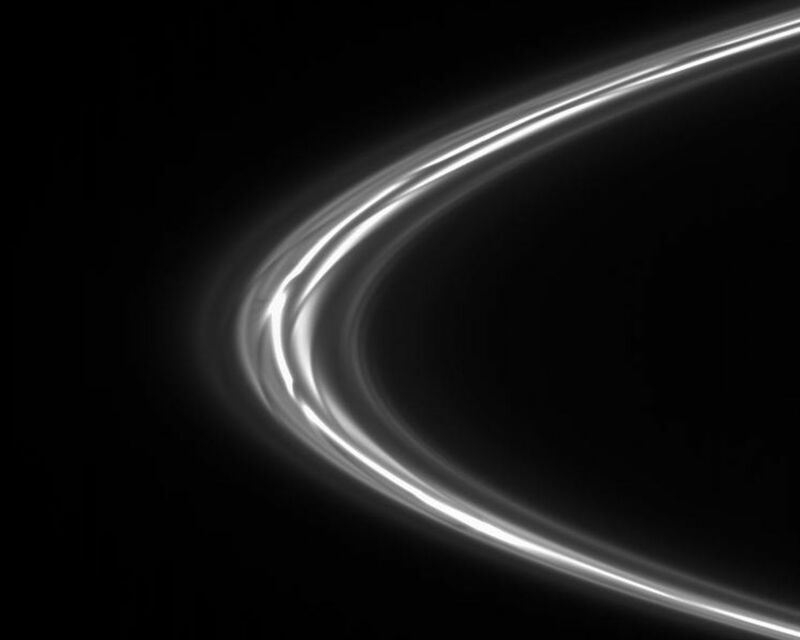 The moon cuts a dark channel in the ring's inner edge that then shears out over successive orbits, giving the ring the unique appearance seen here. Of particular interest in this view is the faint fan of small-scale gores seen at the ring's ansa. These features are left of center in the frame, immediately to the left of a bright clump there. The small gores are formed in the same manner as the larger ones created by Prometheus: a small moonlet orbiting in the F ring forms gores because of its eccentric orbit relative to the overall F ring. This process is described in detail, along with a movie of Prometheus creating one of the streamer/channel features, in PIA08937. 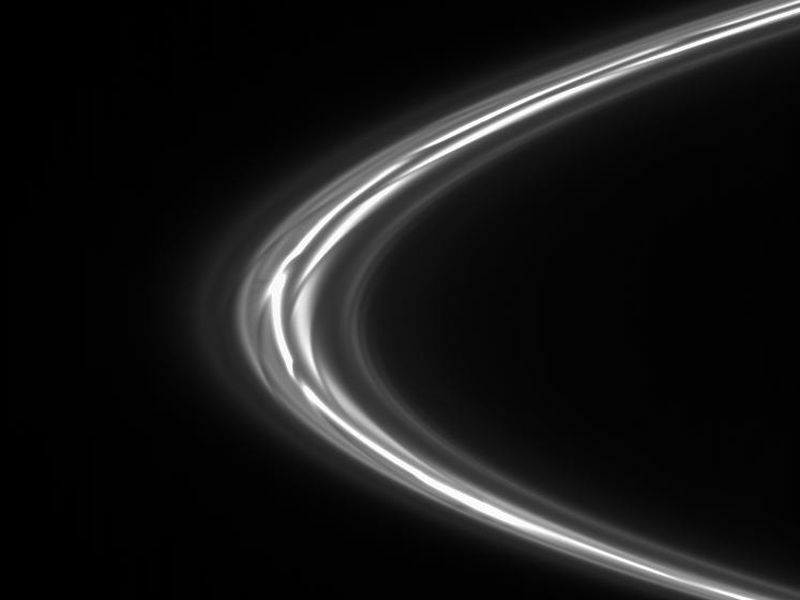 The view is toward the sunlit side of the rings from about 3 degrees below the ringplane.The image was taken in visible light with the Cassini spacecraft narrow-angle camera on Oct. 25, 2007. 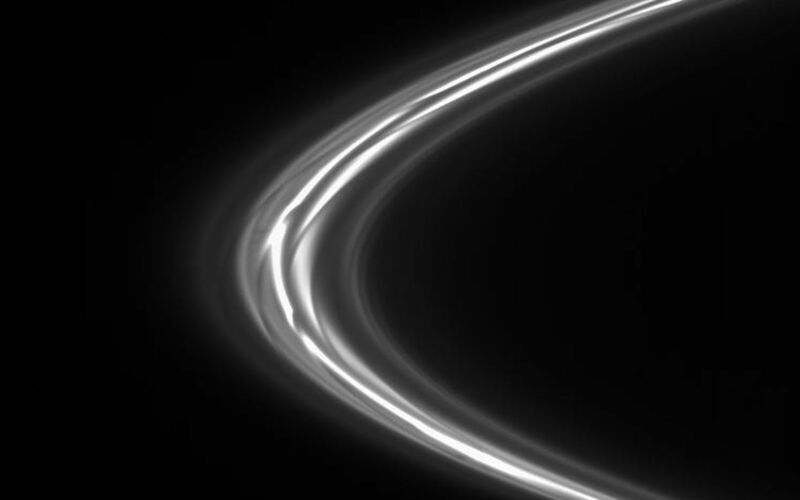 The view was acquired at a distance of approximately 624,000 kilometers (388,000 miles) from Saturn and at a Sun-ring-spacecraft, or phase, angle of 23 degrees. Image scale is 3 kilometers (2 miles) per pixel.